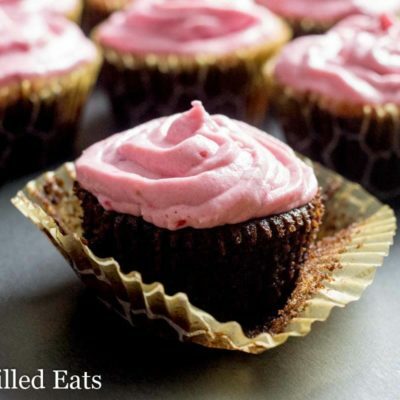 Chocolate Champagne Cupcakes with Raspberry Frosting are perfect for New Year’s Eve or any other special occasion. 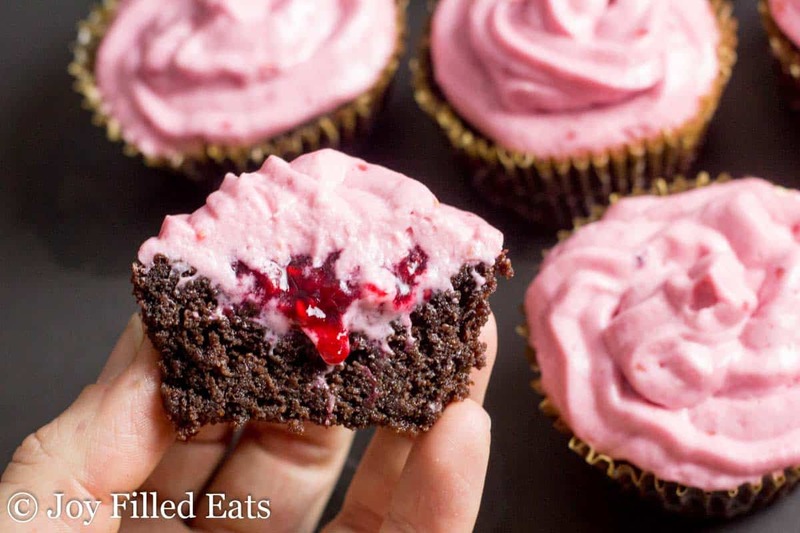 There is a hint of champagne in these classic chocolate raspberry cupcakes, just enough to make them extraordinary. I knew I wanted to make some sort of New Year’s Eve dessert this year. But what exactly qualifies a dessert as suitable for New Year’s Eve? Whenever I searched online for dessert recipes to eat while the ball drops I noticed most of them had alcohol in them. What is more iconic around New Year’s than a champagne toast? To be completely honest the last few years I’ve celebrated New Year’s Eve sound asleep by the time the ball drops. I guess that’s what happens when you are in your mid-thirties with five kids tiring you out every single day. By December 31st they’ve also been home from school for the last week. My kids are great but having everyone home can get a bit loud for my introverted self. Summer break is a bit easier because I can send them outside to play. Christmas break doesn’t always have decent weather for playing outdoors. Even though I knew I’d probably be in bed by midnight I decided I wanted to make a healthy champagne based dessert for New Year’s Eve. 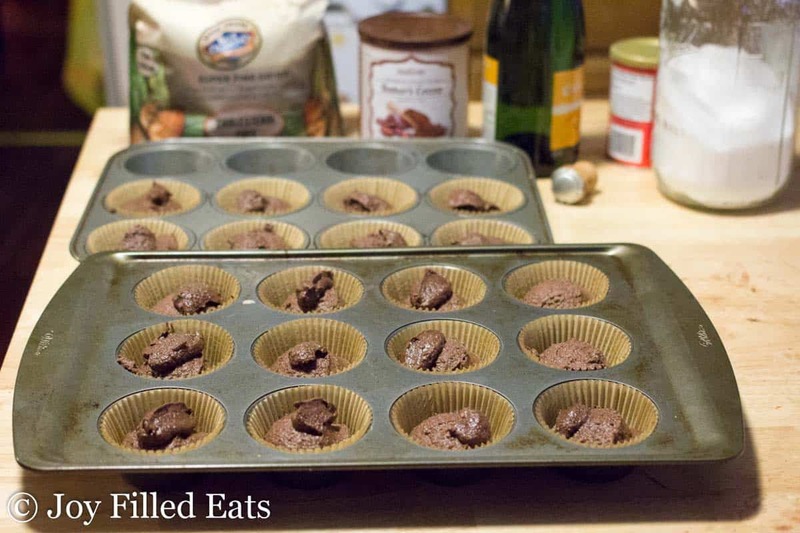 This year, I decided to adapt the Chocolate Raspberry Champagne Cupcakes I saw on Yummy Crumble to make them sugar-free, low carb, and grain free. I keep my recipes as simple as possible. Most of my cake and cupcake recipes dump all the ingredients into a bowl and come together in seconds with an electric mixer. I also make cakes in the food processor a lot. The ingredients come together with the touch of a button. 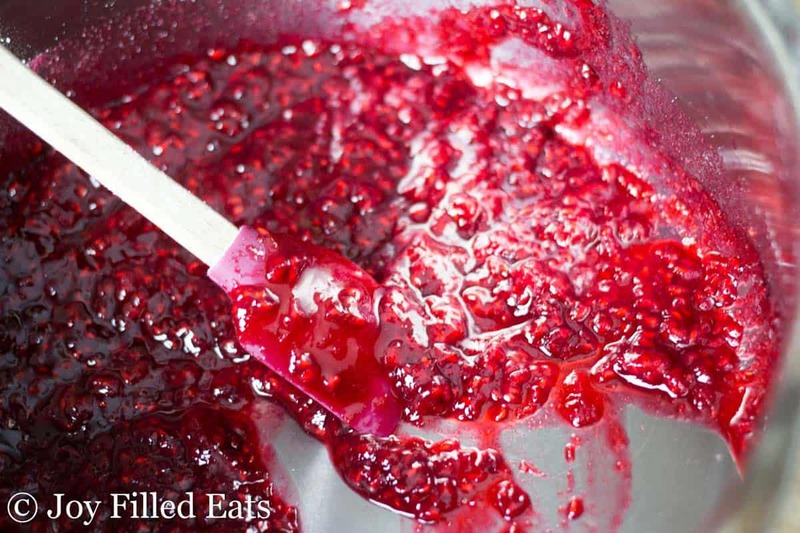 I chose to give these an extra burst of raspberry flavor by making a raspberry filling that is slightly sweetened with a hint of champagne. I make my raspberry frosting cream cheese full. 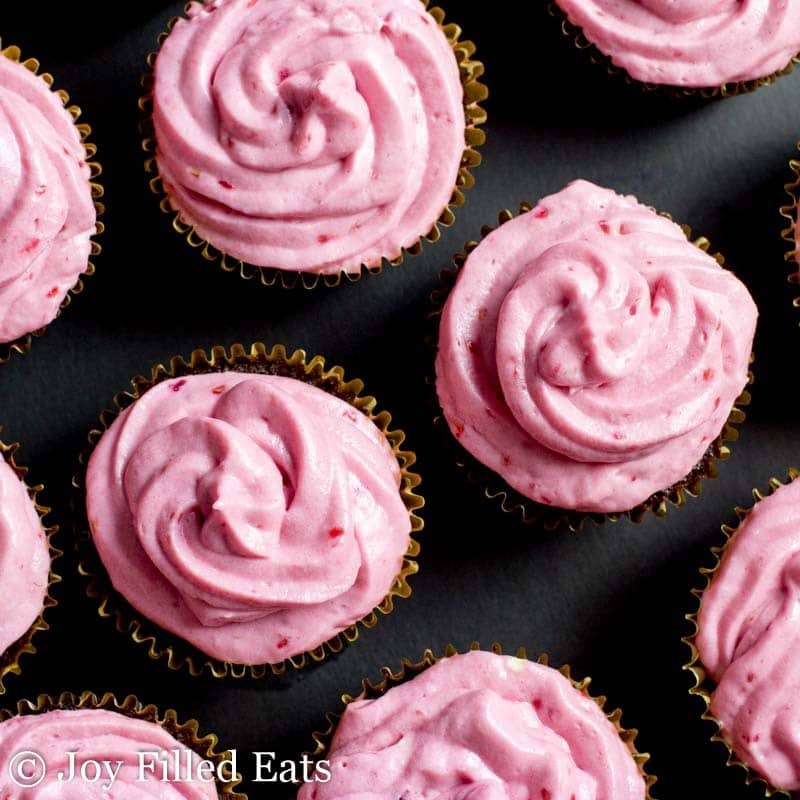 The cream cheese gives the raspberry frosting a hint of a cheesecake flavor that pairs so well with the chocolate cupcakes. To make the icing, beat the cream cheese and butter until smooth with an electric mixer. Beat in the sweetener, raspberries, and champagne. When the cupcakes have cooled divide the filling between them. Pipe the icing on top. Store the chocolate champagne cupcakes in the refrigerator. Note: you may substitute raspberry seltzer for the champagne if you prefer. That is the perfect place to hide a special filling. It is easier than having to dig some of the cake out and saves from all the waste of the centers of the cupcake. Or saves you from eating them all as you go like I do. 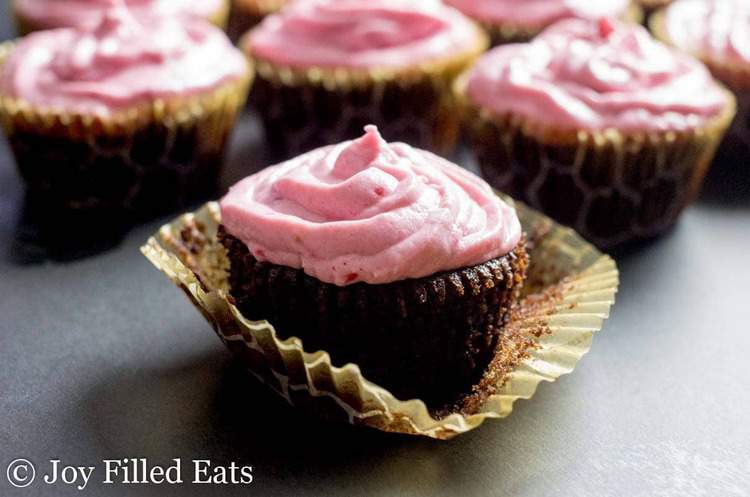 Chocolate Champagne Cupcakes with Raspberry Icing are perfect for New Year's Eve or any other special occasion. 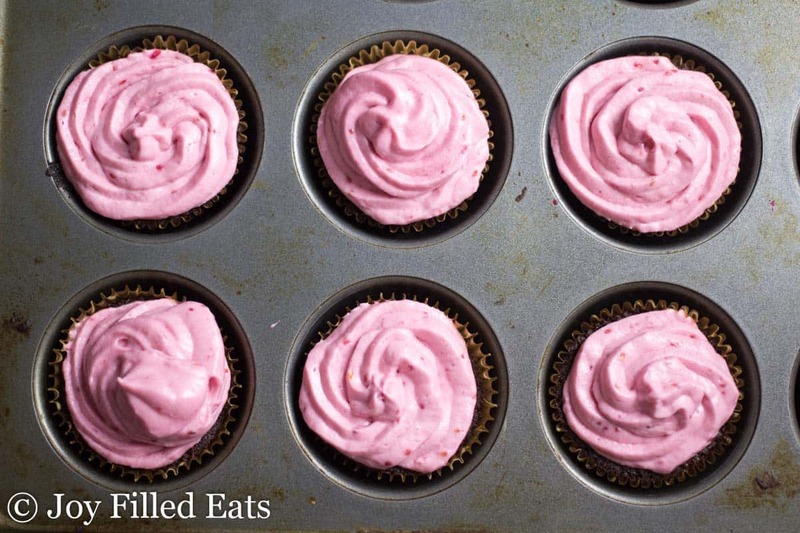 There is a hint of champagne in these classic chocolate raspberry cupcakes, just enough to make them extraordinary. Preheat oven to 350. Line 20 cupcake holes with liners. 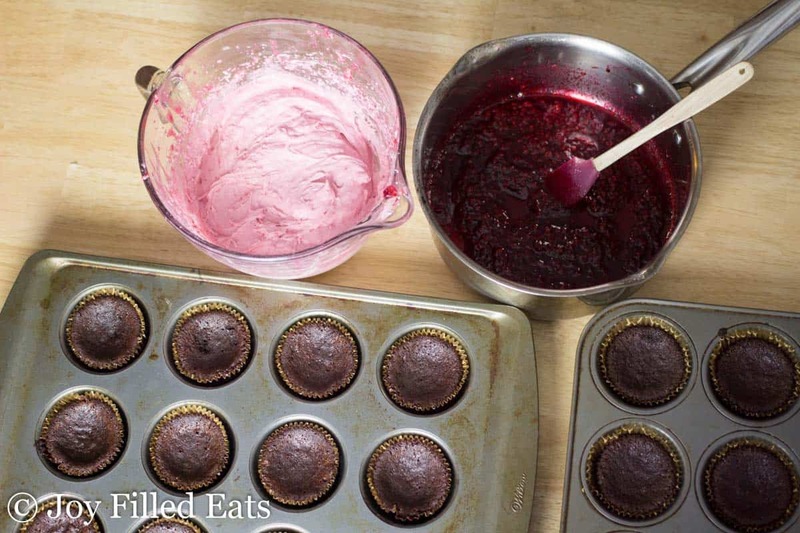 Combine all the ingredients for the cupcakes in a large bowl and beat with an electric mixer until smooth. Divide between the prepared cupcake tins. Bake for 30 minutes. Cool completely. They will sink a bit creating a well for the filling. Meanwhile, combine the first 3 filling ingredients in a small saucepan over medium-low heat and simmer for 5 minutes. Sprinkle the gluccomannan on top and stir well. Set aside. Next, to make the icing, beat the cream cheese and butter until smooth with an electric mixer. Beat in the sweetener, raspberries, and champagne. When the cupcakes have cooled divide the filling between them. Pipe the icing on top. Store in the refrigerator. *** You may substitute raspberry seltzer for the champagne if you prefer. Originally Published on December 29, 2016. Revised and republished December 26, 2018. Butter is normally in 8 oz sticks. Just want to clarify that you are using 4 oz sticks that is how you are using 1.5 sticks for 6 oz? Excited to make these! No, butter is normally 4 oz sticks. You get four sticks in a 16 oz box. Haha! You’re right! I was thinking 8 Tablespoons! Thanks for setting me straight! Needed a sweet snack that was Keto friendly and GF friendly.... I found it! These are wonderful. The only things I did differently is press the seeds out of the filling abd to make the icing a little fluffier I added about a cup of cool whip. I don't make cupcakes very often, but when I do, these are my favorites to make! So moist and delicious. A new fave cupcake. These cupcakes have me drooling over here! 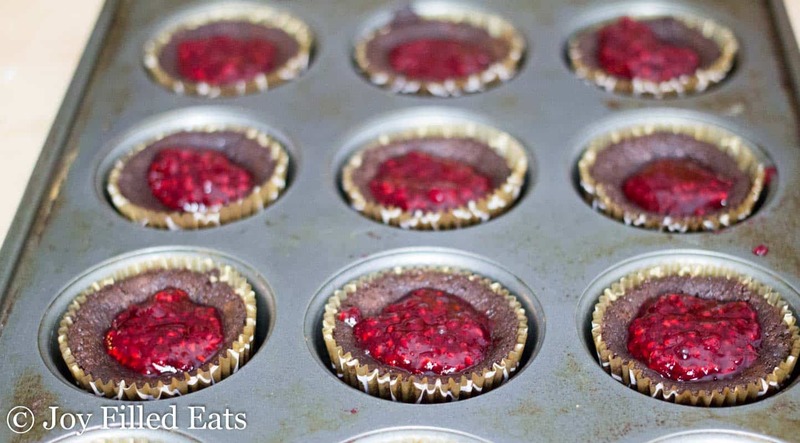 I love that they are a little bit healthier and that raspberry filling - oh, yum! And can't think of any way better to celebrate the new year than with a little champagne built-in. There is a nutrition chart under the recipe. 2 net carbs. You could use xanthan gum. Or omit it. Is there a substitute for using champagne? The recipe calls for such a small amount and we don't drink. Maybe an extract? These look SO good! You can just substitute another liquid. I enjoy the slight champagne taste but it isn't necessary. A raspberry sparkling water would work well. Thank you! These look so good! Where do I sign up for giveaway? Love your recipes. The cupcakes look amazing! Thanks for the giveaway! I am trying to.come up with a version of my husband's favorite 7 layer bars that are GF and lower Carb (Ha! )...almo flour and cocoa powder would be a good start! Thsnks for the raffle! Thanks for this recipe and raffle! Thanks for the great recipes. I have made several over the holidays. However I have a hard time digesting the xylitol in your sweetener blend. If I want to substitute Swerve for your sweetener, how much should I use? Swerve is less sweet so you would need more. I'd recommend just tasting as you go. You could add the eggs after you taste the batter if you prefer. I would sub raspberry seltzer. And just leave it out of the icing unless you need to thin it.